The Law Library maintains a color copier for Pepperdine users. Price per color impression is $0.35. This means if you print a color document that is duplexed (printed on both sides) you will be charged $0.70 for that piece of paper (if there’s color on both sides). Note that if you choose to print a document that has some pages that are black and white and some that contain color, each black and white page will be charged at $0.06/impression (side of a page of paper) and the color impressions (sides of a page) will be charged at $0.35 each. Yep, it’s a kinda smart system. 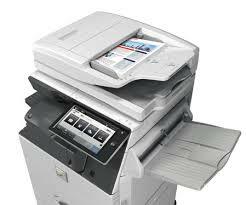 To access this color copier using your laptop or other device please go to THIS PAGE for detailed instructions. Shared Account Users: For instructions on how to print documents from a personal computer using a shared account, please review this guide. Information on School of Law provided print credit to School of Law students is HERE. Make sure you have money on your ID Card (to add or to check go here) — If you don’t have funds on your account (separate from the law school printing account) you can’t print anything. Upload your file — or drag it to the designated area on the screen. Make sure you have money on your ID Card (to add or to check go here) — If you don’t have funds on your account (separate from the law school printing account) you can’t copy anything. NOTE: This system absolutely will NOT allow you to go beyond your available funds in your account (see #1 above to check your balance). For this reason, you may get logged off immediately after you do your first copy job. To learn how to ensure that you don’t get logged off do a “Job Build” to avoid needing to log in for each successive copy job you want to do.